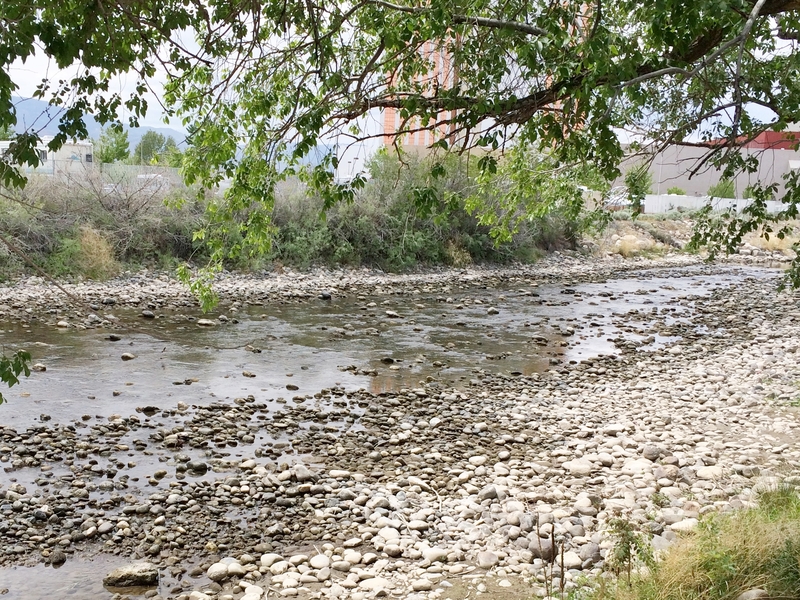 Last year the fishing community and river users showed unprecedented support for a voluntary hoot owl closure on the Truckee river. This year it is imperative we do the same. 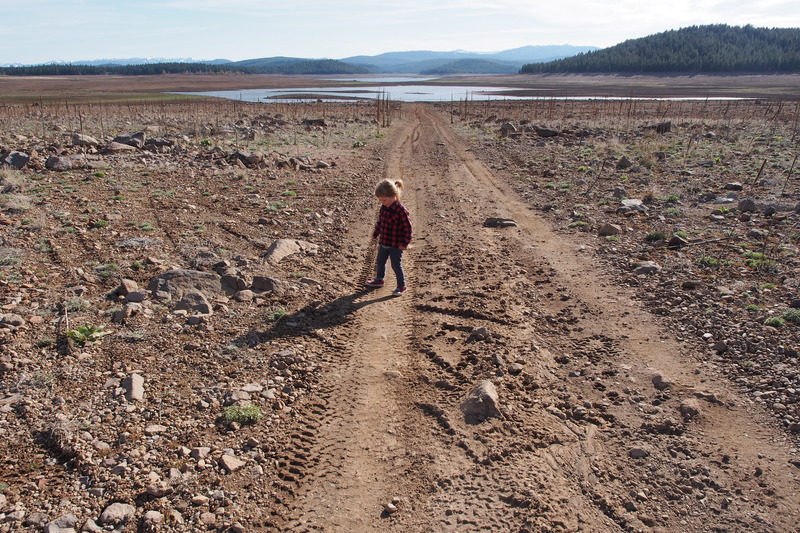 Until then, spread the word of this drought to your friends and family and as the weather warms keep a thermometer with you so you can call it quits when water temperatures reach the low to mid 60’s. 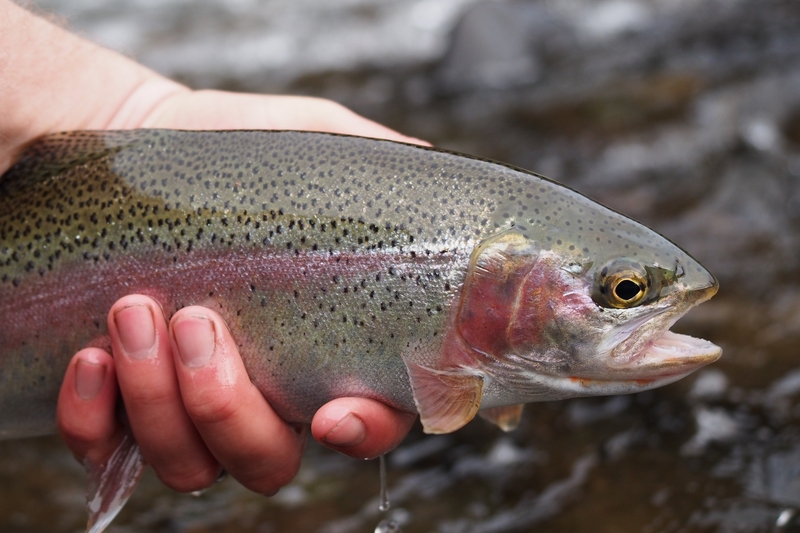 You may also consider targeting trout in areas of the river where flows are higher and steeper gradients provide increased dissolved oxygen levels for the trout. 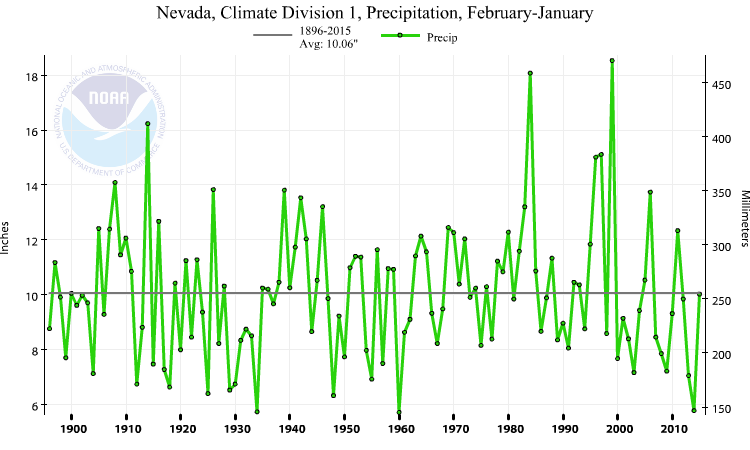 This generally means fishing upstream of Reno, ideally above the many diversion dams that provide our water. It is also time to reduce water consumption which we can start doing immediately on the domestic level in our homes and offices. 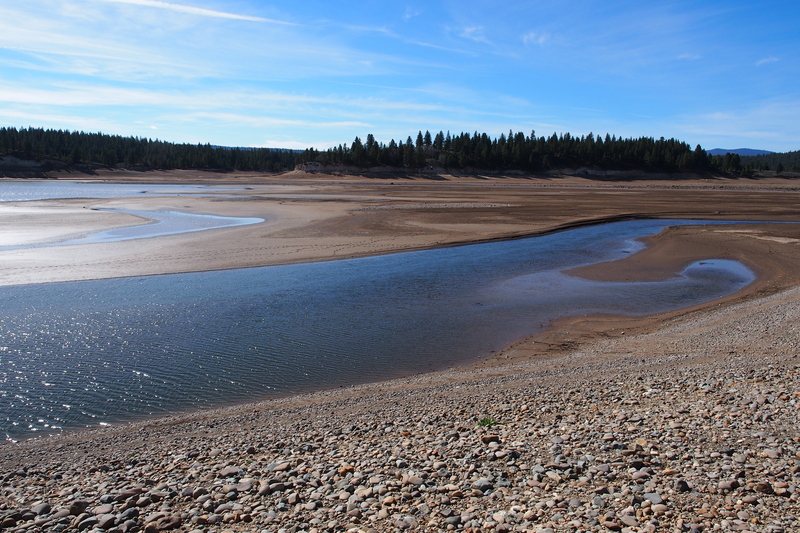 I feel like I am writing a cheesy PSA but low flow plumbing fixtures, fixing leaks, and following your watering schedule, can all have a big impact on the amount of drought reserves that are used this year. Quite often we rank as the most arid state in the nation, so it is time to reconsider that acre of lawn with a swimming pool and design something a little more low impact. There are some decent resources for all this on the TMWA site. You Can (and should) Still Fish. 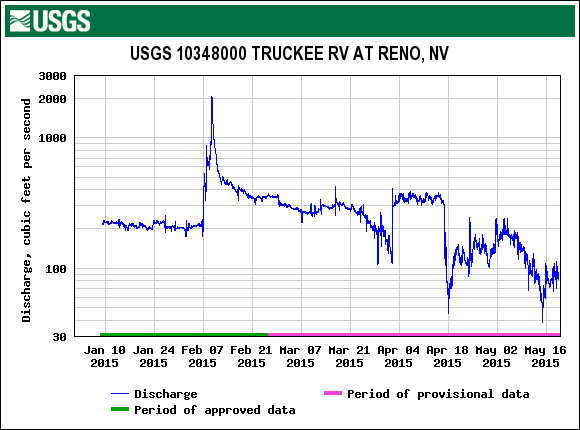 If you are like me, you are probably feeling sorrow at the endangerment of a wonderful fishery that we have here in the Reno-Tahoe region. Along with the ski resorts, and lake Tahoe itself, the river is a major attraction for visitors and residents who enjoy, rafting, fishing, swimming, and many other recreational activities. Something I hope my children will be able to experience in future years. 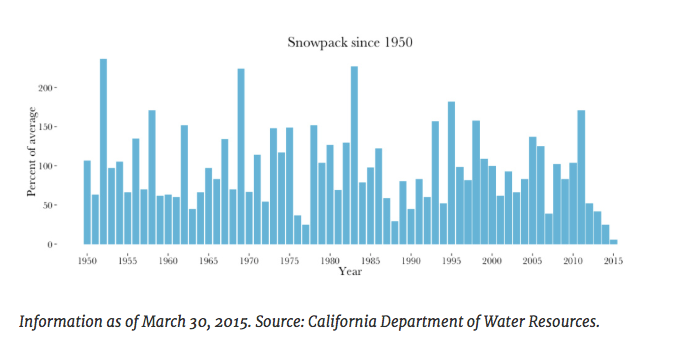 You are probably also feeling a lot of frustration that you won’t be able to hit the Truckee as much this summer and escape those sunny-day-in-the-office blues. But that can (and should) be avoided. Sure, I’ve had big brown trout fever as bad as the rest of us– the kind that keeps your wallet thin, your wading boots muddy, and your net smelling like fish. But if there was ever a summer to give the Truckee a break and explore the other myriad of opportunities in the area, this is it. 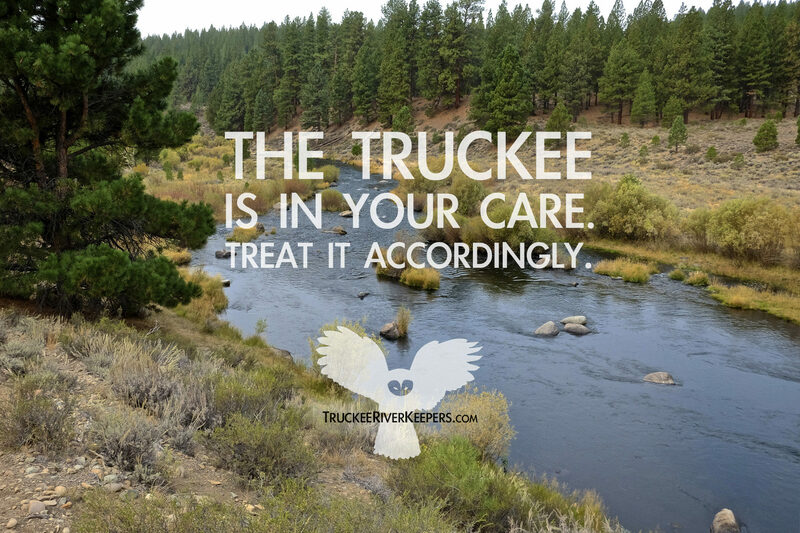 There are an incredible number of high mountain lakes, creeks, and streams which many of us have not considered with the Truckee river in your backyard. Now it’s time to pick up a hiking trail book and check out that lake you’ve spied on google maps, or go take that extended weekend trip to a river you’ve had on your wish list. Another option– and the one I’ve become the most partial to– is to pursue other species. Namely, carp. These fish thrive even during our drought because they have a much higher tolerance for high water temperatures, low dissolved oxygen and– due to some gnarly teeth pharyngeal teeth– they can take advantage of some abundant protein sources that trout can’t, like freshwater clams. 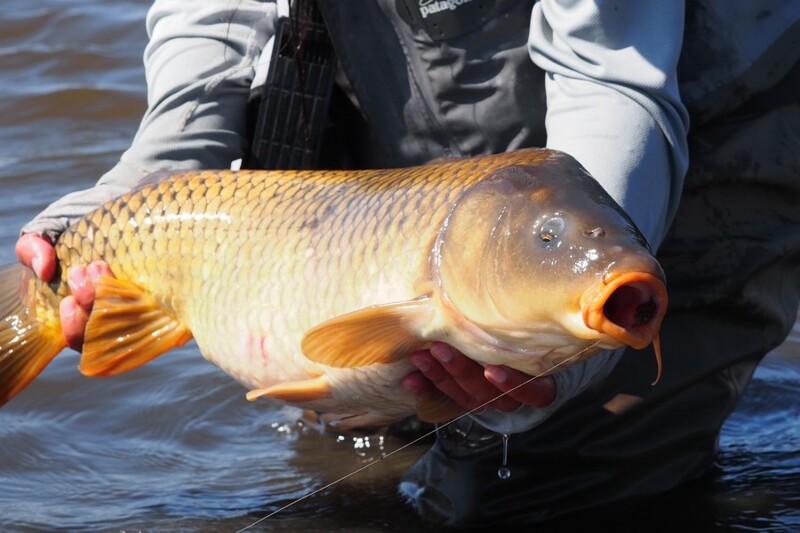 They are big, strong, and will test your skills as an angler. You will have to trade in your 5wt for a 7 or 8wt and you will have to start measuring your fish in pounds instead of inches. 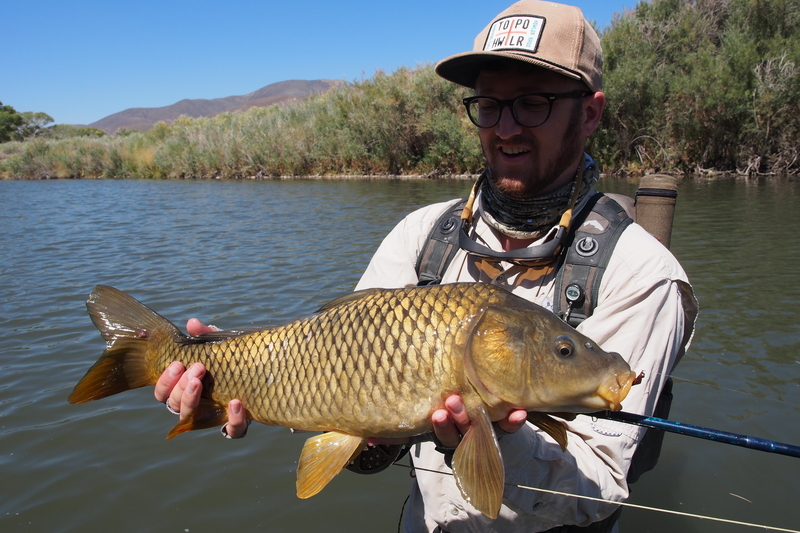 They abound in the warm waters east of Reno and can be targeted on the Truckee river, in local urban ponds, and in many of the lower elevation lakes in our area. You can target them with a fairly simple selection of patterns including crawdads, damsels, worms, and even dry flies like cottonwood seed patterns. Tie your flies on stout hooks, carry some 12-16 lb tippet, and be prepared to sight and stalk them so you can get your fly close to their feeding zone without spooking them. To be honest, I’ve enjoyed a lot of amazing days carping without another angler in sight and don’t wish an end to this solitude. But it will only be to the benefit of our regional trout fisheries if I run into a few other folks out there chasing the poor man’s bonefish. 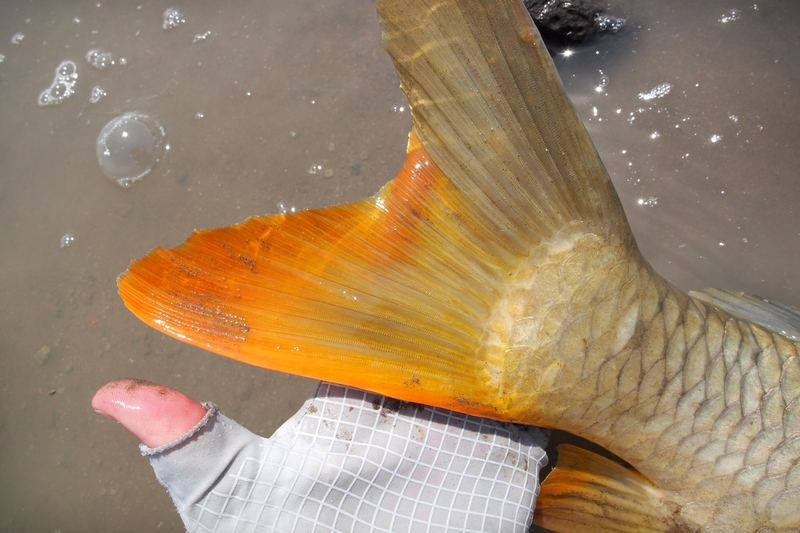 You may even find yourself with carp fever—the kind that keeps your wallet thin, your wading boots muddy, and your net (if its big enough) smelling like fish.